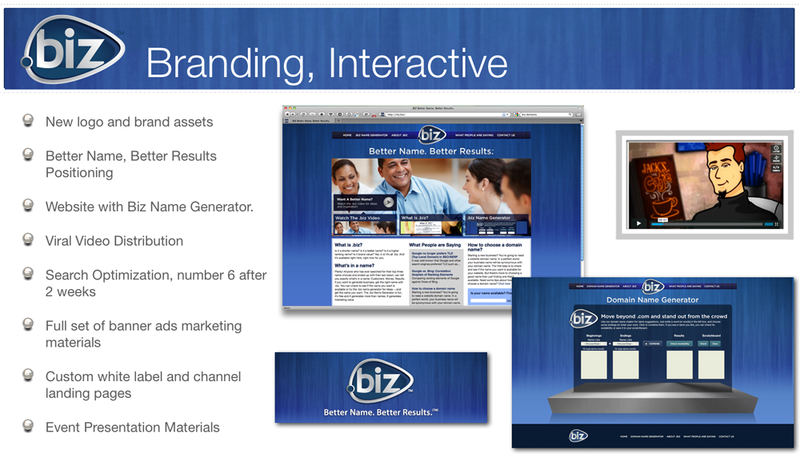 As part of a full rebranding campaign for .biz domains, a new brand image was integrated into the my.biz website, which included a custom domain name generator for Web 2.0 businesses. ApolloBravo fully integrated a viral video, blog, SEO, promotional banner campaign and channel partner support packages used by more than 50 domain name resellers. The site achieved top rankings across targeted keywords.